Liverpool manager Jurgen Klopp has discussed the benefit of Mo Salah tactically, rather than just as a goalscorer. The Egyptian is making headlines at the moment for his ability to find the back of the net on such regular occasion, almost comical considering he was genuinely criticised for his finishing early on this campaign. But now the 25-year-old is on 14 goals in 18 appearances, one less than Lionel Messi’s bagged this season! According to Klopp, Salah works in unison with Roberto Firmino and Sadio Mane, who are just as responsible for the new signing’s goals. 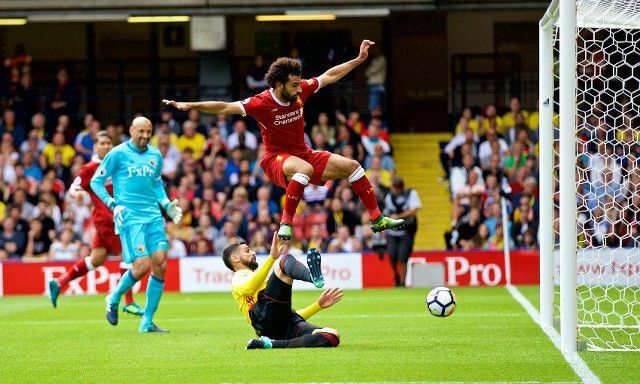 Interestingly, he also states that Salah’s speed stretches the pitch and pulls the defenders back, which gives the midfielders more room in which to operate. Klopp told the Telegraph: “If you see Roberto [Firmino] working unbelievably hard, he’s not scoring in the moment. Sadio doesn’t score in the moment. But they work and they will have their moments and then we will talk about them. There’s the guys on the bench who will have their moments. This is the Mo Salah period – no problem with that; well deserved. Last term when Mane was out, we had no player capable of running in behind defences, but now we have one on each flank, with the Senegalese fully fit. This has enabled Coutinho to drop into a deeper, creative position, and we saw the benefit of this against Southampton at the weekend. Salah got two goals, but the Brazilian was exceptional creatively, looking to thread his attackers through on goal rather than shoot from range.